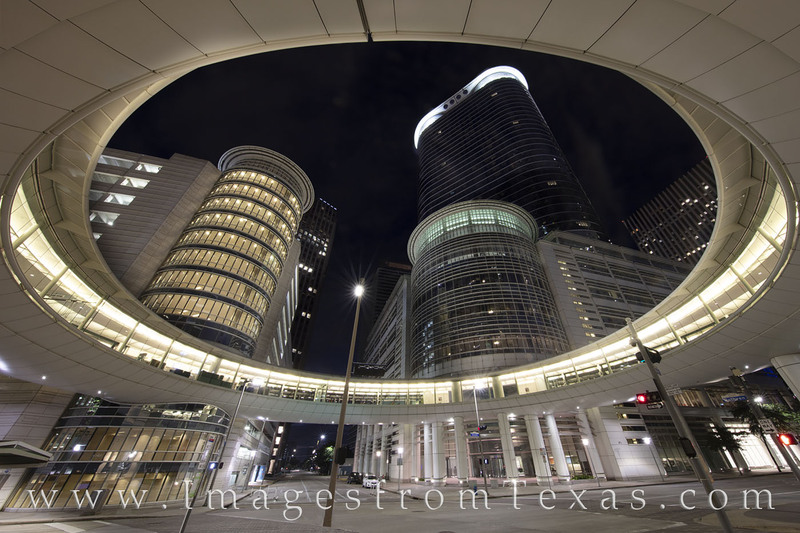 From the shadow of Houston skyscrapers, this photograph looks through the beautiful architecture of the Chevron Buildings (formerly the Enron complex). This image shows the lights of the city at night as most of the city is asleep. Photo © copyright by Rob Greebon.